A special request. How lovely! What a beautiful day it was at the Pride Festival in Cincinnati Ohio 2015. The people were so friendly. I’ve never painted so many adults in one place at any time in my career. The creative ideas were abundant. She insisted on stars with her flower, and I couldn’t have agreed more. 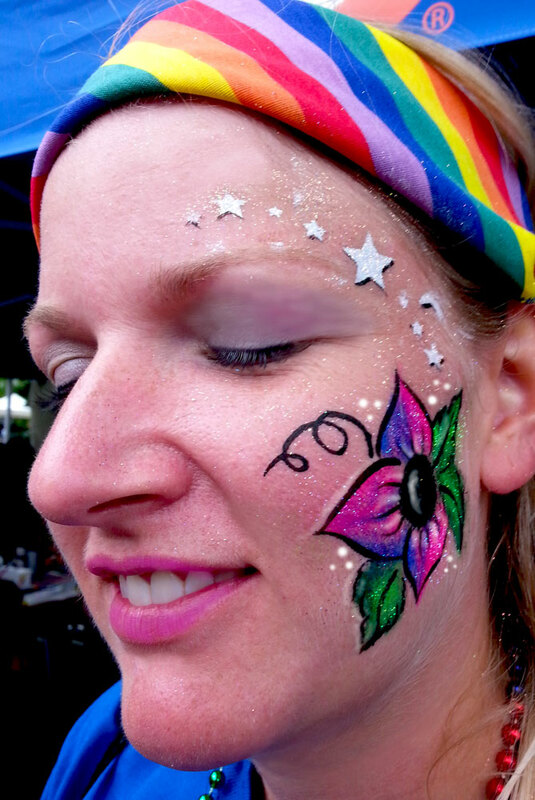 This entry was posted in Recent Events and tagged 2015, Cincinnati, Face Painting, Festival, Ohio, Pride on June 28, 2015 by Joyce.